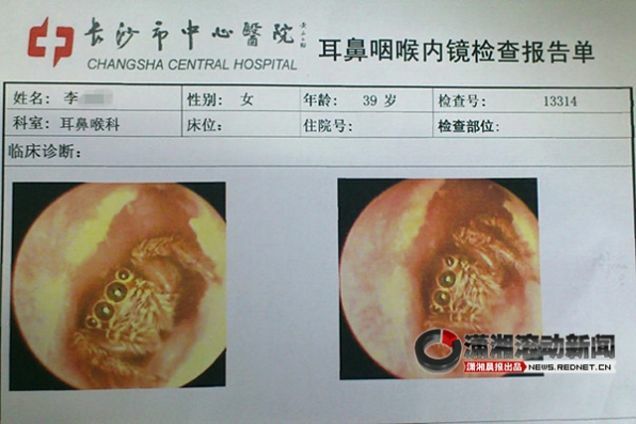 A woman who arrived at China's Changsha Central Hospital with an itchy ear received the worst diagnosis imaginable: A small spider had apparently crawled into her ear canal while she slept, and had been dwelling inside her for the past five days. 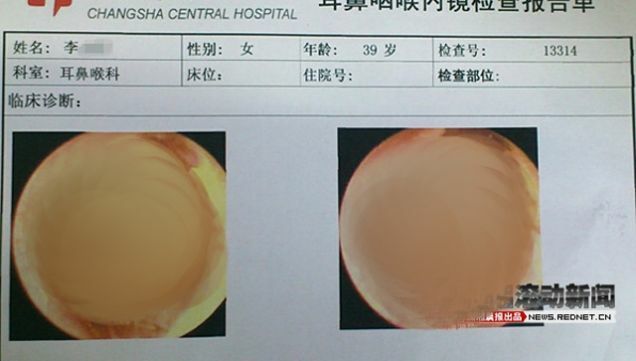 Luckily, Dr. Liu Sheng and his colleagues were able to remove the arachnid with minimal invasiveness by pouring a saline solution into the canal and waiting for the spider to leave on its own. 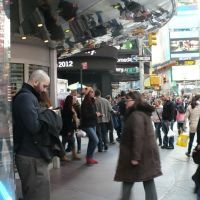 He told a local media outlet that the woman avoided making matters worst by not sticking anything in her ear to scratch the "itch." Sadly, no amount of saline will be able to cleanse the knowledge that one of the most frightening urban legends known to man is now officially fact.